As moms we are busy nurturing our careers and taking care of our kids. There isn&apos;t room for having a sluggish day, so to stay on top of well, everything we snack to stay energized. 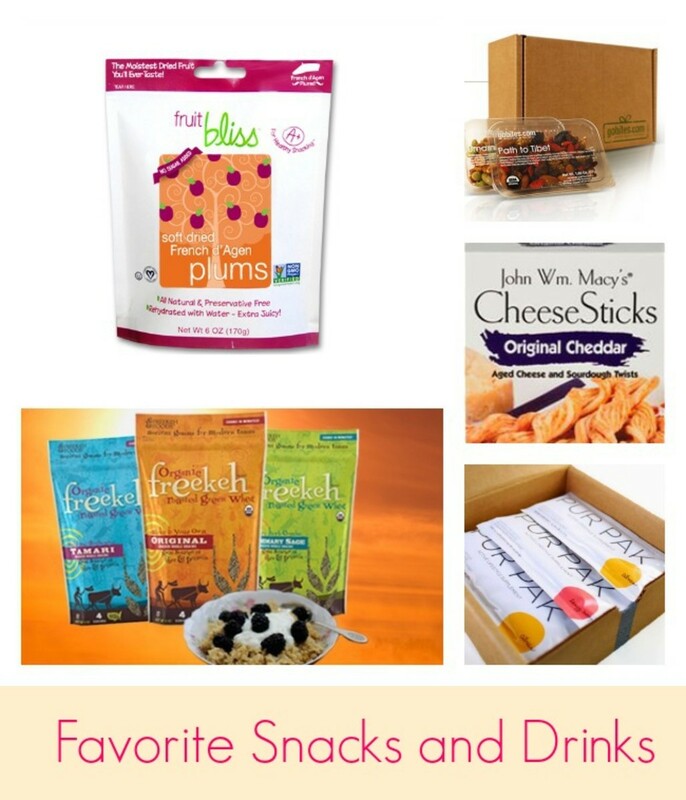 Here are a few of our favorite new snacks that will help you to get through the day. 1. PurPak: We recently discovered a new way to enhance our water with PurPak, a nutritional packet that packed with vitamins, minerals, antioxidants, electrolytes and power supplements needed to help fully protect the body against viruses through the season. This includes three flavors that contain vitamin A, thiamin, niacin, folic acid, vitamin B12 and much more! Additionally, the line was developed to enhance health and performance that is also enjoyed with its flavors that include citrus, tangy berry, and super green. 2. GoBites: We are big fans of portion-controlled snacks, and one of our favorites is GoBites, an all-natural snack delivery service that offers delicious and healthy snack options that are brought right to your door. This include tasty bites like wholesome nuts, seeds and grains, fruits and exotic berries that can also be customized to your dietary needs (Diabetic, Gluten Free, Paleo, Heart Healthy, etc.). Personally, I loved sampling these unique blends that included a variety of exotic ingredients (organic cavendish bananas, Sri Lankan jack fruit, white figs, mulberries, monukka raisins, Balinese cacao nibs, rambutan and more) that don&apos;t have any added sugar or oil and are also organic when possible. This is a great way to pack in the nutrients while also trying snacks from around the world. 3. Macy&apos;s CheeseSticks: My girls love their cheese, and so do I. For some chessy snacking, I have been enjoying the new Macy&apos;s CheeseStick, a tasty alternative to the traditional breadstick. This includes five hand-twisted CheeseSticks, four bite-sized CheeseCrisps varieties and three different SweetSticks dessert twists. Crafted by artisans from fresh sourdough, aged cheeses and hand-picked seasonings, the line includes tasty varities such as Romano Garlic CheeseSticks, Dijon Swiss CheeseSticks, Cheddar & Scallion CheeseSticks, Melting Parmesan CheeseSticks, Asiago & Cheddar CheeseCrisps, Java Cinnamon SweetSticks and much more! Personally, I am excited about this for the holidays as a great way to complement a meal or as a party appetizer. 4. Fruit Bliss: I love snacking on fresh fruit, but sometimes it isn&apos;t always option. The next best thing is Fruit Bliss, an incredible selection of all-natural and unsulfured fruits that is sourced from Turkey, France and Tunisia. Featuring high-quality fruits, I love how Fruit Bliss was bursting with flavor thanks to its deliciously juicy fruit taste that is packed with fiber and essential vitamins. This includes a line that both you and your kids will love with varieties such as whole apricots, plums, dates and figs. Developed in 2011 by Susan Leone, a mother on a mission to create a nutritiously rich and convenient snack for the whole family, the line also has no additional preservatives or sugars, offering the very best natural fruit in a convenient-to-carry package. 5. Freekeh Foods NEW Organic Freekeh: Recently certified by Oregon Tilth, Freekeh Foods NEW organic freekeh is a great alternative to rice or quinoa and known for its delicious flavor and health benefits. Often referred to as the new superfood, freekehs fiber and protein combination provides a more complete grain than most other grain varietals. With each low-fat serving of organic freekeh providing six grams of protein, four grams of fiber and 130 calories. Along with tamari, Freekeh Foods also offers original and rosemary sage flavors. Whats more, the naturally-vegan, organic varieties by Freekeh Foods are easy to cook in a wide array of delicious ways for our ultra-busy lives.